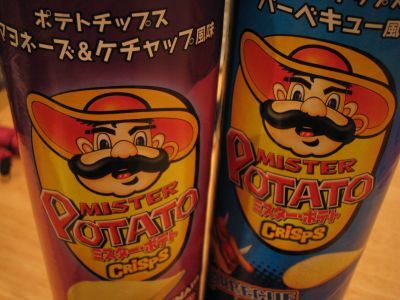 Mister Potato Crisps is made from 100% high-grade imported potatoes. It comes in a 160g or 45g package. The product is manufactured in Malaysia. The finely sliced potatoes are washed in cold water to remove starch from its surface to prevent the potato chips from sticking to each other when fried. These chips are then cooked in trans-fat free oil and lightly flavored. Thus you can enjoy unique crispy texture with non-salty healthy tastes! 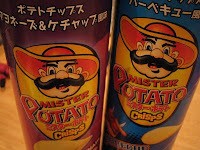 I found this potato chips at the drug store. 160g can was sold at 100yen (3.5RM), so I bought only one to try out. Unexpectedly it was pretty good, so I decided to get another one the next day but most were already sold out when I returned. Try out when you find one!! !